It's a simple concept: If you want good sales, make good food - so good that diners eat every last properly portioned bite. This straightforward principle makes a predictable food supply chain a core component of profitability and competitiveness, because it ensures that diners get what they expect - nothing more, nothing less. But with as much as 40 percent of the nation's food supply winding up as waste, according to the U.S. Department of Agriculture, this dining doctrine is proving easier said than done. 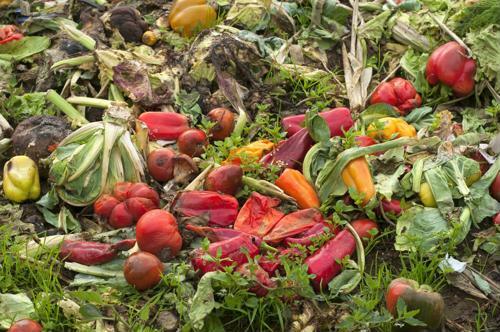 "94% of restaurants' unused food is trashed, rather than donated or recycled." Of all the industries whose profits derive primarily from food, the restaurant sector has the highest disposal rate. Indeed, according to a joint project spearheaded by the Food Marketing Institute, National Restaurant Association and Grocery Manufacturers Association, nearly 94 percent of the food that doesn't get used ends up in the trash. That compares to 27.6 percent in the retail/wholesale sector and 1.7 percent in manufacturing. Part of the reason for such a large percentage of unused or partially consumed food end up being thrown out - as opposed to being donated or recycled - is due to hygiene and liability concerns, as cited by 39 percent of respondents to the report. The most frequent barrier - 43 percent - is transportation constraints, given perishable vegetables and meats often need to be chilled to stay fresh and reduce spoilage, which commercial trucks may not be capable of doing. Frequently, however, perfectly good food winds up being thrown out when labels and expiration dates are misinterpreted. A report from the Natural Resources Defenses Council and Harvard Law School's Food Law and Policy Clinic found that as many as 90 percent of Americans may be throwing food away when it's still safe to eat. Dana Gunders, staff scientist with the food and agriculture program at NRDC, said these actions make supply chain optimization virtually impossible. "Expiration dates are in need of some serious myth-busting because they're leading us to waste money and throw out perfectly good food, along with all of the resources that went into growing it," Gunder explained. "Phrases like 'sell by', 'use by', and 'best before' are poorly regulated, misinterpreted and leading to a false confidence in food safety." She added that since there isn't a universal standard for labeling or spoilage recognition, manufacturers get to decide sell-by dates for themselves, though how they determination this is unknown. The NRDC estimates that $900 million worth of food annually is removed from the supply chain, frequently due to businesses misinterpreting the meaning of "sell by" versus "best before." Emily Broad Leib, director of the Food Law and Policy Clinic at Harvard, said there really ought to be a spoilage recognition methodology that is universal so everyone is working from the same understanding of what's safe to eat and what isn't. This would help with food cost reduction. "We need a standardized, common-sense date labeling system that actually provides useful information to consumers, rather than the unreliable, inconsistent and piecemeal system we have today," Leib advised. Supply chain experts Siva Arumugam and James Cooke noted in FSR Magazine that restaurateurs should also be more strategic when they purchase the ingredients for menu items. In other words, managers should be cognizant of what dishes their customers are ordering the most, avoiding cost overruns on items proving less popular. They should also have a point-of-sale system that keeps track of demand trends. "The digital network must be able to sense demand patterns, generate corrected forecasts, translate these forecasts from menu-items to supply forecasts for SKUs, and orchestrate replenishment from suppliers - all in real time," Cooke and Arumugam wrote.